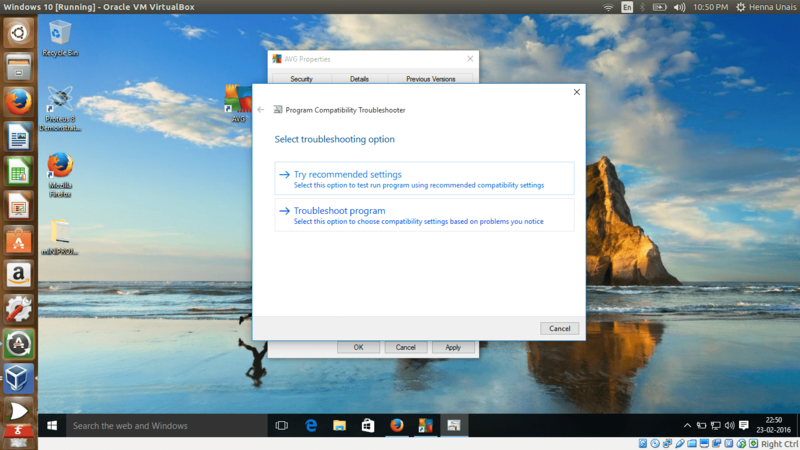 Have you ever come across the compatibility issue of running softwares in windows 10 ? Several programs that worked smoothly in windows 7 or 8 seems to be not running in windows 10 after upgrade. 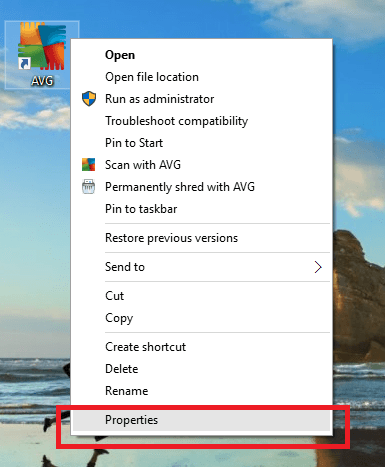 Do not be desperate.Microsoft has introduced a solution for this with the new release.That is by running the programs in compatibility mode. 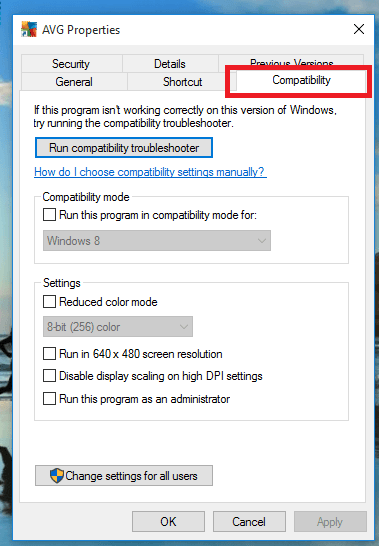 Suppose that you have a program like ‘slack’ installed in your PC.You might have worked with it before the upgrade.But it shows up a message showing the compatibility issue when you try to run it now. Even if the software could not be run, We can find the program shortcut or the .exe file somewhere in our computer. 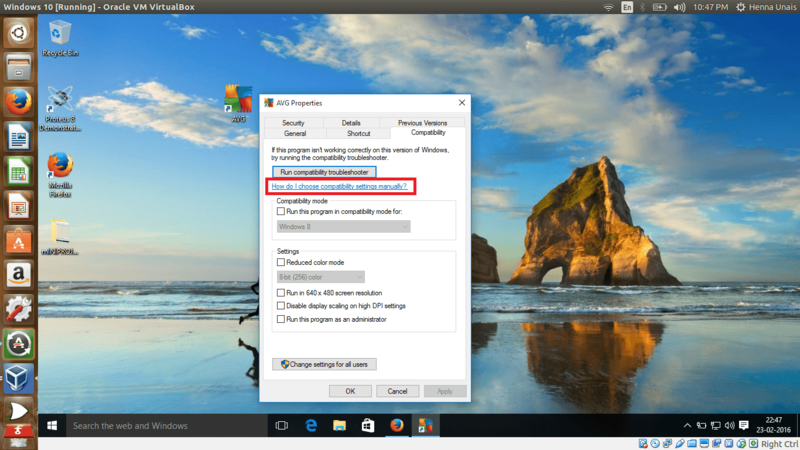 Suppose that AVG is our software with the compatibility issue. 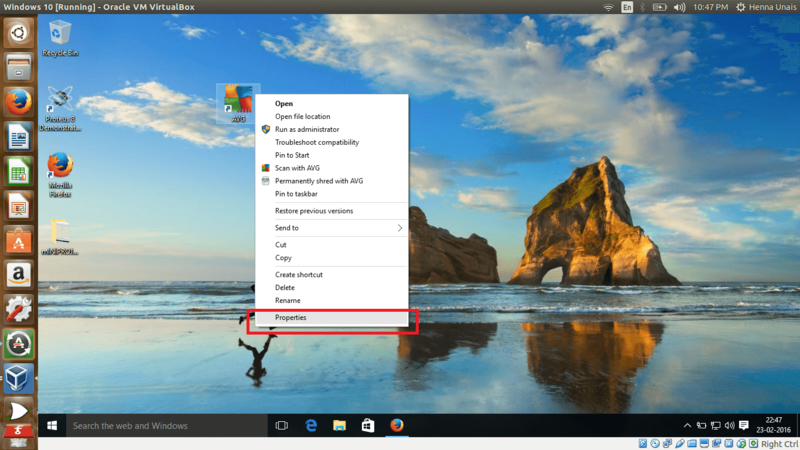 What we want to do is that just right click on the shortcut or the executable file. Then we get the following options. Here we can see six tabs on the top. 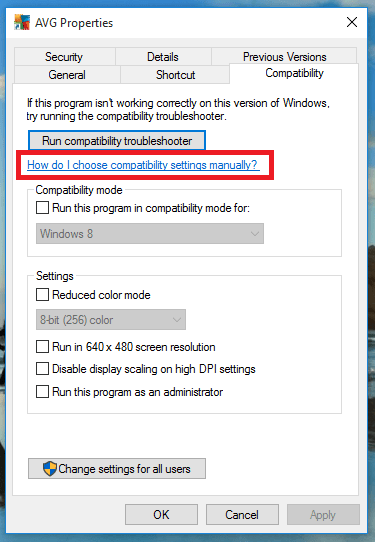 Choose the tab named ‘Compatibility’ among them. From the dialogue box you can select the mode in which you want to run your software in future. For that choose the required option from the drop down by checking the check box . Do not forget to click OK to save changes. 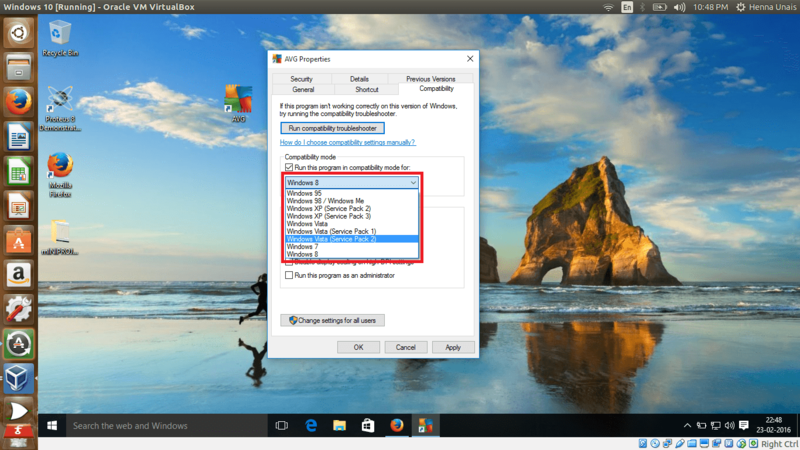 Now you can run the software as smooth as before !!. 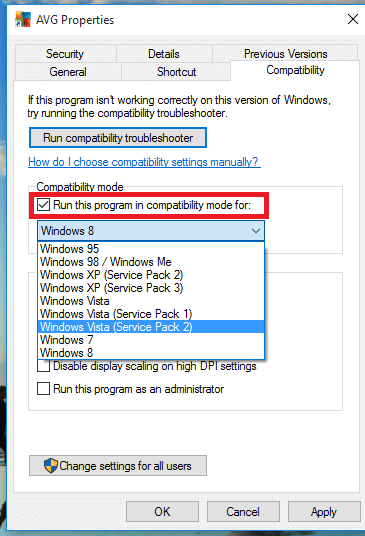 If you are not sure about the mode you want, then the compatibility troubleshooter will do the selection for us. just click on the button available in the dialogue box. 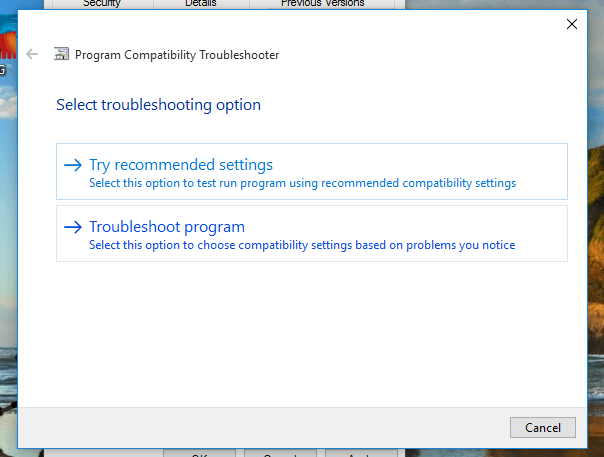 Now you can choose the troubleshooting option and proceed. 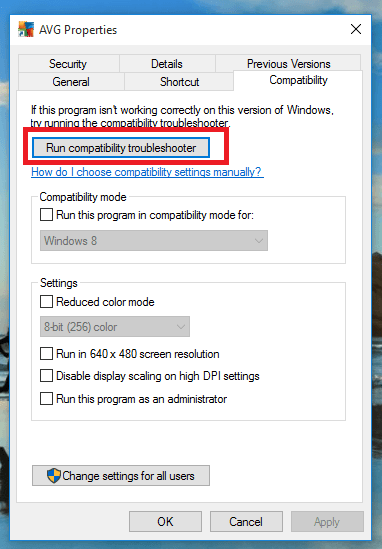 You can also use the troubleshooter if you find difficulty in running the software even after the mode is selected manually. 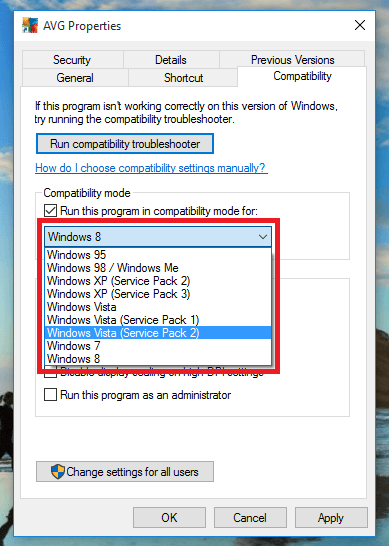 A help link is also provided to guide you in choosing the compatibility settings. It should also be noted that several softwares are no longer supported by it’s own developers.then the only solution before you is to check for the latest updates.